A full production and world premiere of six original short plays by North Carolinians with live original music written and performed by the Kirk Ridge & Friends band! 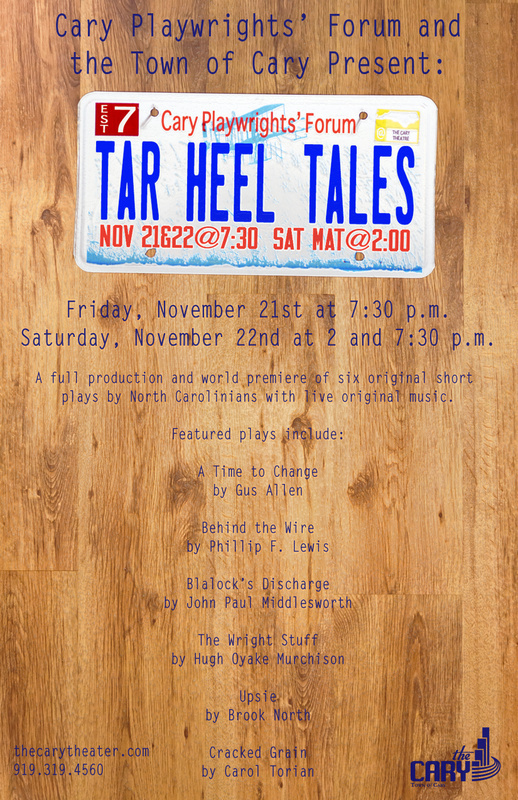 Performances will be on Friday, November 21 at 7:30 pm, and Saturday, November 22 at 2:00 pm and 7:30 pm (2014) at the new ‘The Cary’ movie-house/black box theatre. Professional DVDs of the production will be available for $10; contact sbityakov@gmail.com to pre-order a copy. « THE FINISH LINE – a new playwrighting workshop starting Dec 8!